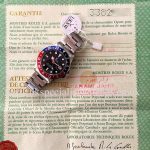 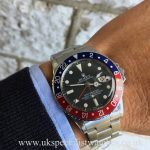 Rolex GMT Master 1675. 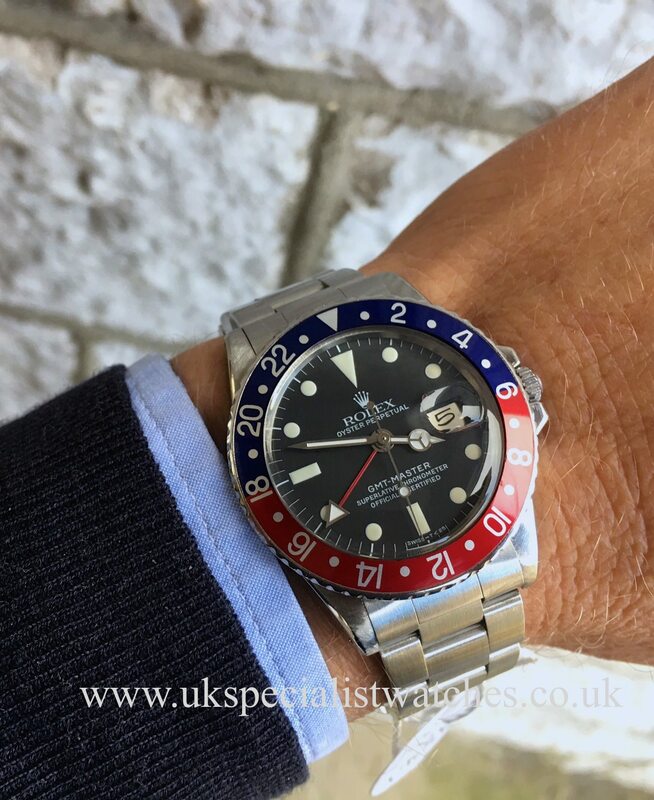 Vintage 1972. 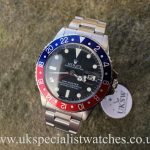 The watch has the most beautiful all original classic matt charcoal dial with a gentle creamy patina to the hands and hour markers. 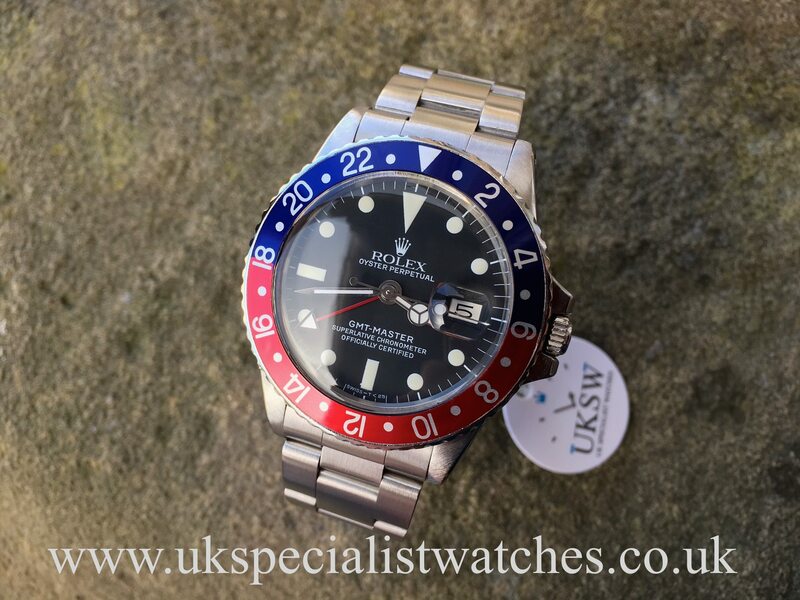 Powered by an automatic 1570 movement. 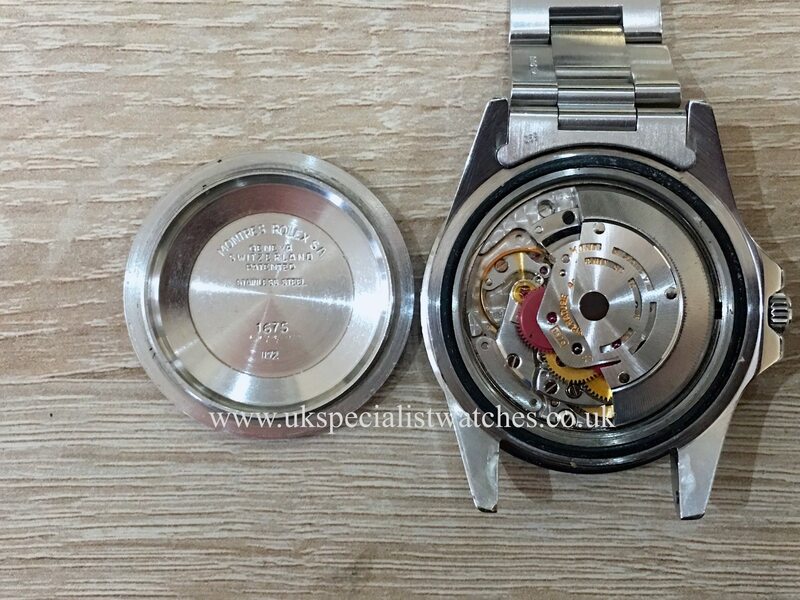 This watch is absolutely immaculate and had only one owner from new, supplied in April 1976 but manufactured late 1972 as the watch has 3298***serial number and also the case back stamped 11.72. 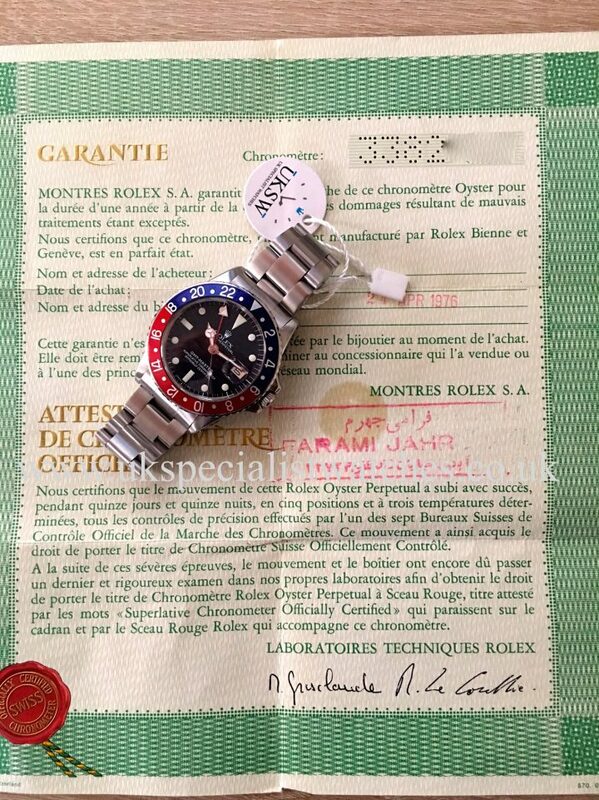 Unfortunately the papers given with the watch are incorrect as the numbers do not correspond. 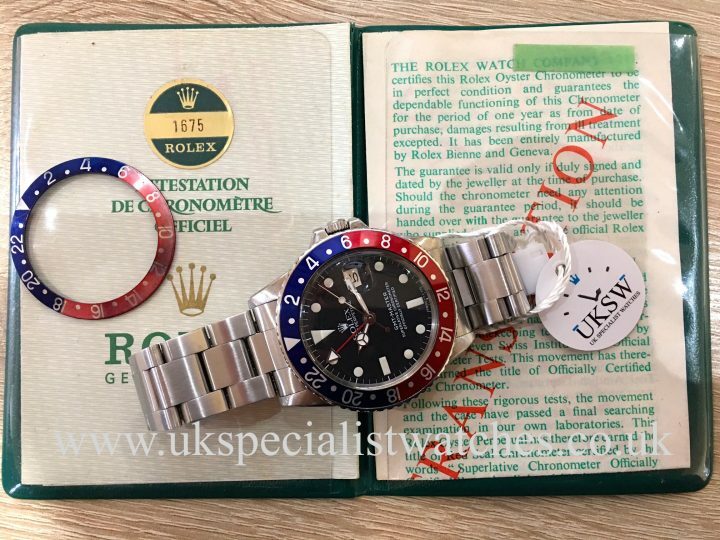 The retailer must have had more than one 1675 in stock at the time of sale which was quite a common occurrence back then, but at least it proves the date of purchase. 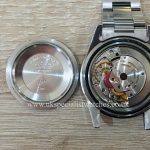 Zoom in on the photos and see the original rolex chamfers on the shoulders of the case, which shows the watch has had very little polishing during its life. 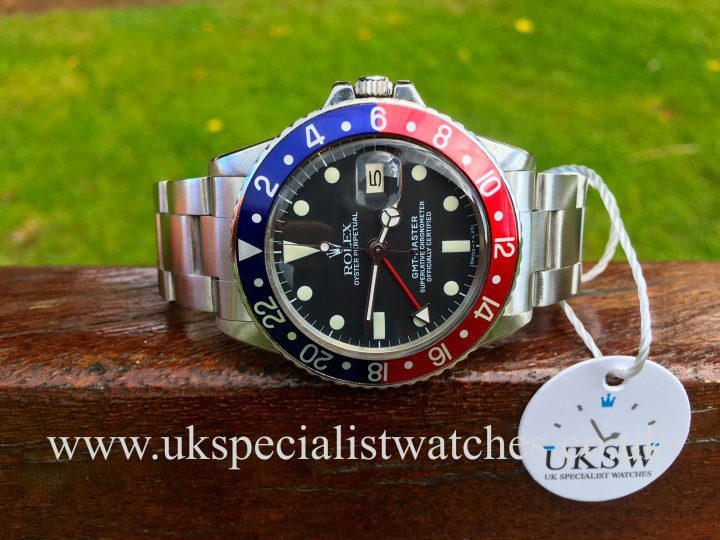 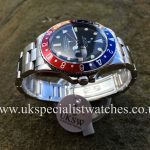 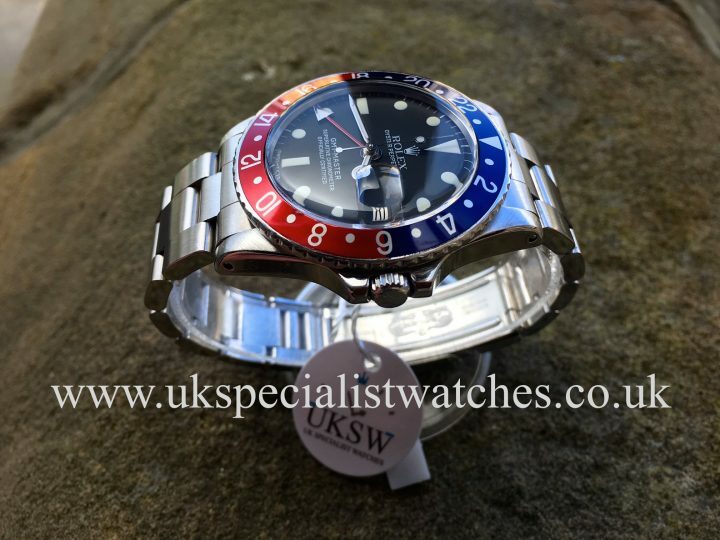 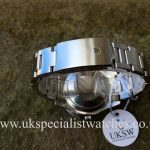 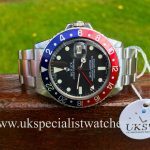 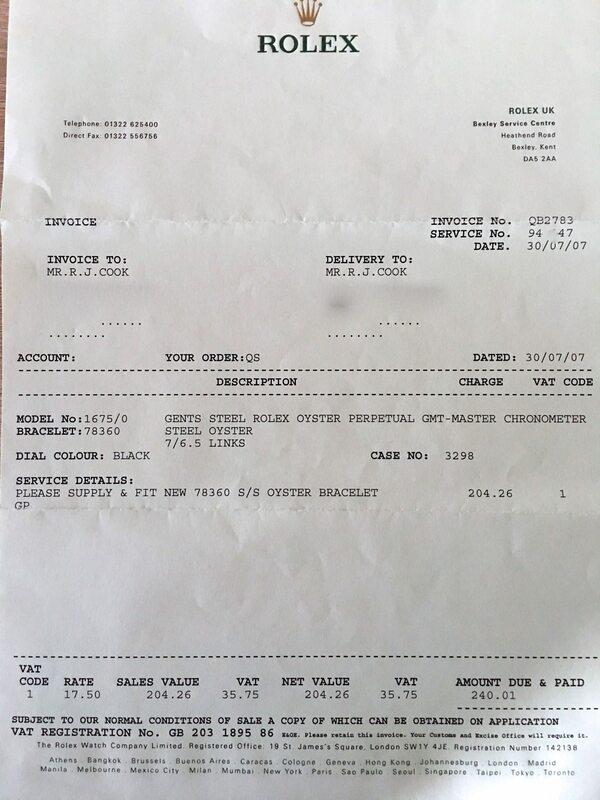 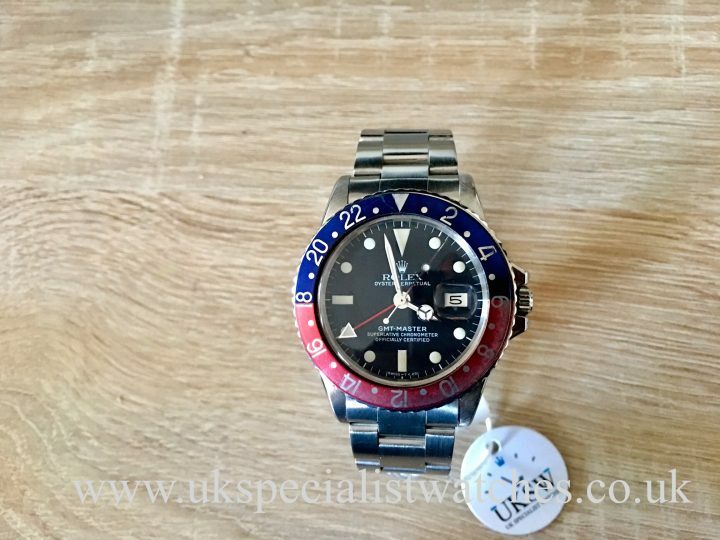 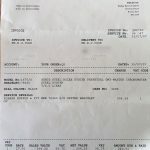 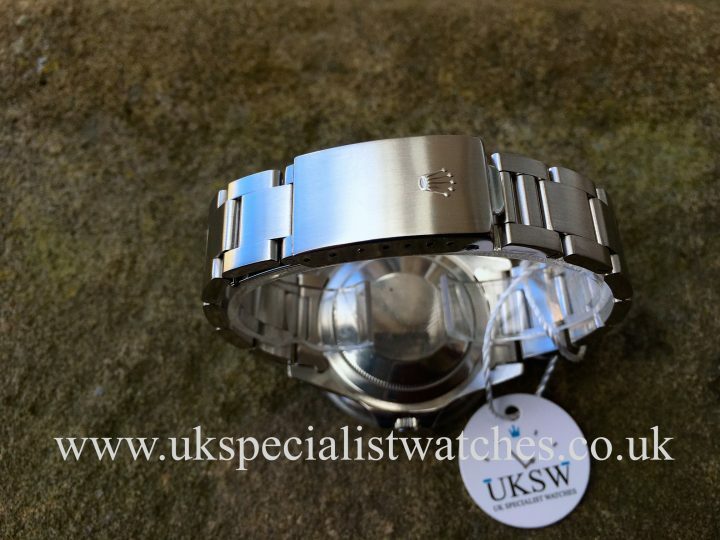 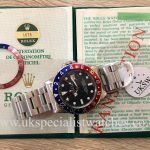 We also have the original pepsi bezel insert (should you prefer) and receipt with the watch as it went to Rolex UK in July 2007 to have a new Oyster bracelet fitted. 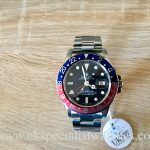 These Pepsi GMTs are rocketing in value and are a very strong investment watch!